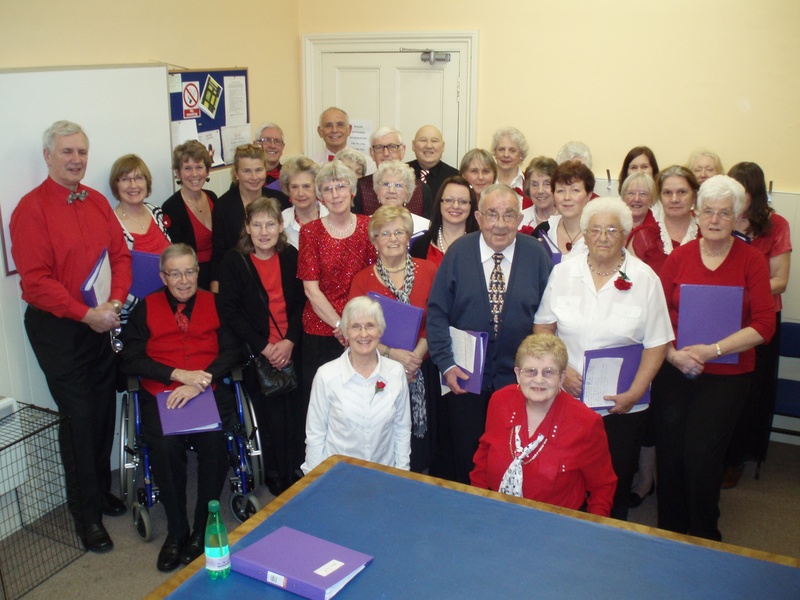 This photograph shows the Singing Group before their recent Concert. It may have been the day which will be remembered in some parts of the country for the Valentines day storms but in Annan Old Parish church everything was in perfect harmony. Despite the awful weather forecast a large attendance turned out for a concert given by the Annan Old Parish Church Singing Group under the direction of their leader and accompanist Jennifer Dodds. The audience was rewarded for braving the elements with some fine singing, mainly on the theme of love, but which contained something for everyone to enjoy. A feature of the group, very few of which read music, is their relaxed and friendly style and their enjoyment in making music comes over to the audience. It also shows in their responses to the compere Neil Wallace who was once again in sparkling form with his witty anecdotes and well informed comments. The programme was made up of songs from the shows, sacred music, classical music, some well known showstoppers from the world of popular music and some chart hits from yesterday. The money raised has enabled the Singing Group to donate £1000 to church funds. As a result of the concert two new members have come to join the group which meets for practice on a Monday evening at 7pm. Annan Old Parish Church Singing Group is not your average stuffed shirt outfit and that’s why the word “Choir” is proscribed. They sing together because they enjoy singing together and because their enjoyment so readily transmits to all who hear them. There can’t be much wrong with a blend of singers in their thirties, forties, fifties, sixties, seventies and eighties who can all find the musical “common ground” for which Annan Old Parish Church Singing Group is renowned. In the twenty years since its inception, the formula has remained the same – a good mix of Christian praise music as well as choral music from the world of shows, classical and pop – all performed in a friendly atmosphere where the participation of the audience harmonises with the enthusiasm and involvement of the singers. The keynote is enjoyment. This group would not exist if it was any other way and they hope that their enthusiasm communicates itself to others. Join our excellent Church organist for an evening of singing. Monday’s at 7pm in the Hall.